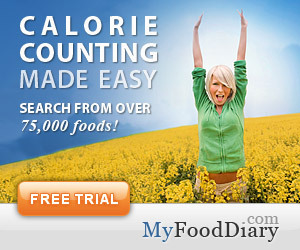 Home » Calorie Counter » Should You Use a Diet Journal? Should You Use a Diet Journal? One can probably come up with as many reasons not to use a diet journal then to use one. However if you are reading this then you are probably already contemplating doing so. There have been studies that show tracking your progress on paper can improve your success rate. It demonstrates a level of commitment and helps you to focus on your weight loss efforts. Your journal serves as a great tool that helps you visualize and analyze your progress. For example if you simply make a daily entry of what you eat, what exercise you did, and your current weight then you can easily correlate your effort to your results. Which format should you use? There is no one journal format that is best, no “one size fits all”. It really is more of a personal thing depending on what diet and exercise program you use and also what suits you the best. There are obvious things one should put in their journal. It really should be a place where you record your weight at least once a week. You can also record your BMI (body mass index). A good journal should make some sort of reference to what types of food you ate, how much of it, and your level of physical activity. The point here is you want to be able to compare your efforts to your actual weight loss. You should be able to determine if you’re doing it right and where to improve. Good news for 5:2 Fast Dieters! If you’re a 5-2 dieter then your journal can be much simpler. You really don’t need to include everything you ate that week or your physical activity. You only need to make note of your fast days and keep a record your weight. From this minimal information you can adjust your efforts as necessary. If you find that you’re not losing weight, you may need to start tracking your food intake and exercise to see where the problem is. Whether you keep a journal electronically or old school, pen and notebook, is really whatever you prefer. If you often eat on the go then consider a small notebook or use your smart phone or tablet that you can easily carry with you. There are even diet apps you may use. As far as when to record in your journal, it is really up to you but 1-3 times daily is best. If you find yourself extremely busy during the day, running around too much then may be better to wait until your home at night. The key is to make your entries while you still remember what you ate, so at least once a day. The key to a successful diet journal is to do what works best for you. You can adjust your journal format as necessary, but most of all you need to be consistent! Start Resolution Right, Start Slow! Why weighing your food can make a difference for your health? I had a successful fast yesterday! Supper was 4 delicious mangos! Slept great. Looking forward these next 2 days of eating healthy. I love 5:2! I am very happy with this WOE, I have lost 2 stones so far!!! 5:2 have completely changed my bad habits about choosing what to eat, now I prefer healthy food even in non-fast days.